[This is Money] BAA ditches name to be ‘Heathrow‘ after sell-off of stakes in Gatwick and Edinburgh. BAA is changing its name to Heathrow. The Spanish-owned company that runs some of the UK’s airports said it will be known as after its largest airport because it no longer represents a large number of UK terminals. 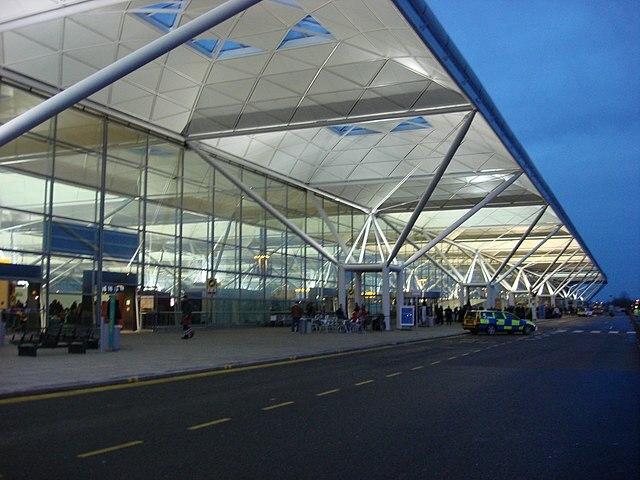 In 2009, competition authorities forced it to sell its stakes in Gatwick and Edinburgh, and it has also agreed to offload the London-serving airport Stansted. After the rebranding, the group’s other airports – Glasgow, Southampton and Aberdeen – will also become standalone brands. The company insisted there would be no changes to its management structure, and no redundancies as part of the process. But it warned there would be delays in removing its BAA-emblazoned signs from terminals, as well as issuing staff with uniforms free of its previous insignia. BAA could not put a time frame on completing re-branding. The company also said it does not have a figure for how much the move will cost. 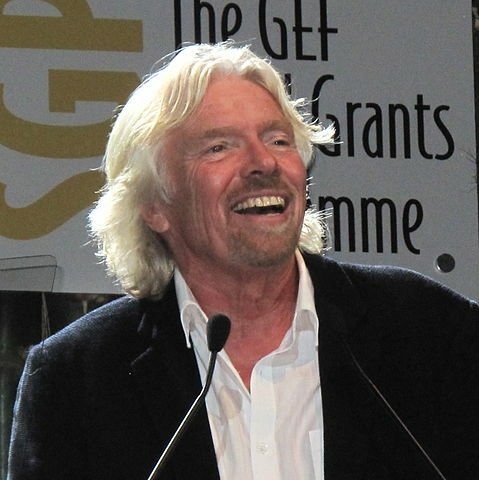 Read the full story at This is Money…..
[Flightglobal] Virgin Atlantic Airways has fleshed out further details of its upcoming entry into the UK domestic market, confirming plans to operate “multiple daily flights” from London Heathrow airport to two Scottish cities. The airline had previously announced that flights from Manchester to Heathrow will begin on 31 March 2013, becoming its first domestic feeder service. In the “second stage” of its domestic expansion, Virgin will add new Heathrow services to Edinburgh and Aberdeen. International Airlines Group (IAG), the parent company of rival British Airways, currently has a monopoly on both routes following its acquisition of BMI. 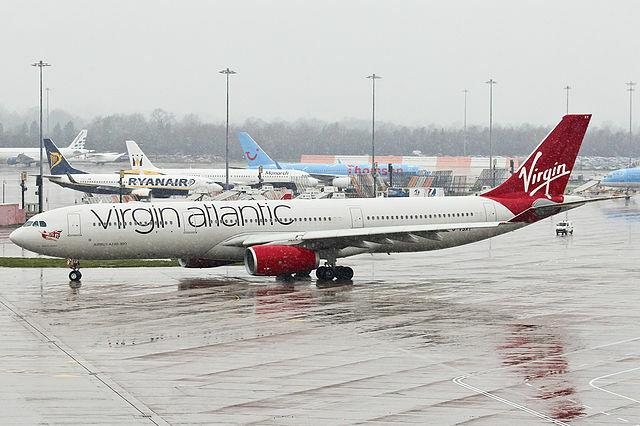 “At least 1.8 million Scottish passengers, equivalent to a third of the population, have been left without a choice on these routes since IAG’s takeover of BMI,” says outgoing Virgin chief executive Steve Ridgway, who will leave the company next spring. BA is reducing Heathrow-Aberdeen flights by almost one-third and Heathrow-Edinburgh flights by one-quarter when compared with the number of combined services previously operated by the flag carrier and its one-time rival BMI, Virgin claims. Ridgway had earlier acknowledged that Scottish routes will likely form the backbone of its upcoming domestic operations – to be served by leased Airbus A319s. IAG has been forced to relinquish 14 slot pairs at Heathrow in order to trim its market share at the hub following the BMI acquisition. Competition RX, the company monitoring the slot auction, says at least seven of those slots must be used for Edinburgh or Aberdeen flights. Virgin is bidding for 12 of the slots, with the remaining two earmarked for Transaero’s Moscow route. Tickets for Manchester went on sale last month and Virgin says the route will be operated irrespective of how many slots it ultimately secures. However, no such assurance has been given for flights to Edinburgh, Aberdeen or Moscow – also tentatively announced by Virgin – and with tickets yet to go on sale it appears that all three routes are predicated on its success in the slot auction. [Metro] A recent poll from travel search site Skyscanner claims Luton was rated as the most unfriendly airport with only 5.76 points out of ten. London airports Stansted, Heathrow and Gatwick also featured towards the bottom of the list. Meanwhile, the one airport which is getting things right is Edinburgh, earning a massive thumbs up from visitors. ith a score of 7.41 points out of ten for friendliness it was followed closely by Newcastle (7.34) and then Manchester (6.87). Around Europe, Paris was voted the rudest airport with a score of just 4.86 points, while Moscow received 5.03 points and Istanbul was awarded 5.91 points. The friendliest European airport, according to travellers, was shown to be Copenhagen (7.08 points). Commenting on the results, Victoria Bailie from Skyscanner said: ‘We like to have a good moan and grumble but overall, the average scores were positives for the UK’s airports. Read the original story at Metro…..
[Saffron Walden Reporter] Airports operator BAA has been granted a further reprieve against selling Stansted after the Court of Appeal ruled in the firm’s favour. Today’s decision means the company can now appeal against the Competition Appeal Tribunal’s judgment on February 1 which had backed the Competition Commission’s decision that BAA must sell Stansted, Gatwick and one of its two Scottish airports, Edinburgh or Glasgow. Gatwick was auctioned off in 2009, while the sale of Edinburgh was announced in April this year. Read the original story at The Saffron Walden Reporter…..
[Scotsman] Passengers spent nearly four hours on the Edinburgh Airport tarmac last night after a delayed departure caused by technical issues. ALMOST 200 travellers spent nearly four hours on a plane parked on the tarmac at Edinburgh Airport last night after it developed a technical fault before take-off. 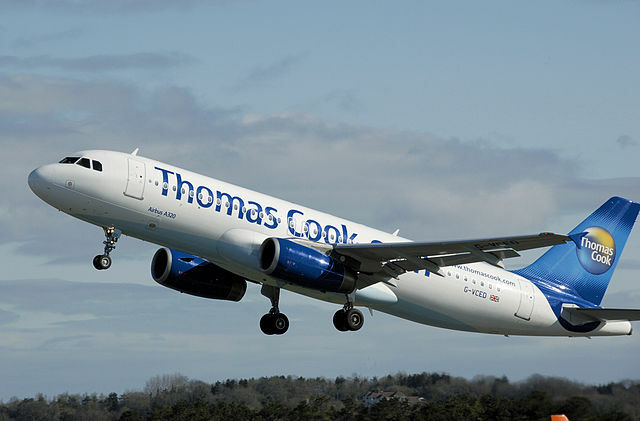 The Thomas Cook flight to Antalya in Turkey had been due to leave shortly after 6pm. Passengers complained of the “roasting heat” inside the plane and were still waiting to be put in hotels at midnight. Dave Findlay, 35, from East Lothian, said: “It was ridiculous. We got no information and I saw small children in real distress.” No-one from the travel company was available for comment. THE boss of Edinburgh Airport said Ryanair has “to pay its way” as he hit back in the row with the budget airline over its plans to axe eight routes from the Scottish capital. Jim O’Sullivan said he would not have the no-frills airline “flying here for free” as he dismissed suggestions from the Dublin-based firm that Edinburgh airport had failed to offer a competitive deal. The attack on Ryanair came after the airline’s deputy chief executive, Michael Cawley, flew into Edinburgh yesterday to announce “devastating reductions” to the carrier’s winter routes, with the scrapping of the destinations of Bratislava, Bremen, Frankfurt, Fuerteventura, Gothenburg, Kaunas, Lodz and Poznan. Mr Cawley issued a stark warning about “substantial further reductions” to Ryanair’s Edinburgh operations which he said would be “much smaller” unless airport bosses handed the Irish carrier a better deal. However, Mr O’Sullivan insisted that he was “not in a position to negotiate” an extension to Ryanair’s five-year base agreement, which expires in October 2012, due to the British Airports Authority (BAA) seeking a buyer for Edinburgh Airport. He also dismissed claims by Ryanair that 200 jobs had been shed during a previous round of cutbacks by the airline this year that saw the firm end its flight routes to Berlin, as well as scrapping plans for services to Malmo in Sweden, Murcia and Ibiza in Spain, and Tallinn in Estonia. Mr O’Sullivan said: “We’re not in a position to negotiate because of the sale process, but in the long term, we’re confident we’ll be able to go to them with a proposition. We can’t have them flying here for free and they’ve got to pay their way. We have 40 airlines and have to be fair and we can’t have 39 airlines subsidising the other.”…..
Read the full story at The Scotsman…. (Reuters) – Global Infrastructure Partners (GIP), the owner of London’s Gatwick and City airports, and a JP Morgan-led consortium are to fight each other for control of Edinburgh Airport and are set to submit final bids next week, sources close to the process said. GIP is an investment fund founded by Credit Suisse and General Electric. JP Morgan recently added the Korean airport authority Incheon International Airport Corp and U.S. teachers pension fund TIAA-Cref to its consortium. Consortia led by Carlyle Group and 3i were knocked out of the bidding last month, the sources said. “GIP, with its experience running UK airports, maybe has the edge … JP Morgan has also seemingly added Incheon to its bid recently and TIAA-Cref not that long ago, so GIP looks a lot more settled in terms of what it wants to do,” one source close to the sale process told Reuters. ELECTRONIC security gates to cut passport queues by half are to be introduced at Scotland’s busiest airport, The Scotsman has learned. The move by Edinburgh airport and the UK Border Agency will see the automatic equipment used for the first time at a Scottish airport to increase the speed with which passengers clear immigration. The five gates will be installed in two weeks’ time as part of a package of measures to reduce delays and congestion at the airport, which handles 9.3 million passengers a year. The passenger total is growing at nearly 8 per cent a year, with last August the airport’s busiest month since civilian flights started in 1947. An extra two X-ray machines will be added to the hand-baggage search area in May, while airline check-in desks have been moved around to make the best use of space. UK and other European Union passengers will be able to use the “ePassport” gates rather than the traditional manual check by officials. They will insert their passports in the machines to allow an electronic chip containing details of facial dimensions – scanned from their passport photo – to be compared to an image of their face transmitted from a camera on the gate. The new gates will help ease specific crunch points, such as late on Thursday evenings when five flights arrive within 30 minutes and only three staffed gates are in operation. The UK Border Agency operates up to eight staffed passport gates at the airport. The new gates are in use at several major English airports, including Heathrow. The additional X-ray machines at Edinburgh, to be operational in late May, will boost the total to 12. Managing director Jim O’Sullivan said: “At peak times, the gates will significantly reduce queuing times, and even halve them. Everybody travelling through here should have a better time of it. Read the whole feature here……. [Financial Times] The ranks of bidders for Edinburgh Airport have halved this week, with two groups of investors dropping out of the contest for an asset expected to raise £400m-£600m for its owner, BAA. The sale of Scotland’s biggest airport attracted four indicative offers last month. But a consortium led by UK-listed 3i has withdrawn from the process, following close behind a group led by Carlyle, the US group …..
More on this story at the FT…..